New World Interactive has announced that their 2014 tactical shooter Insurgency is free to download on Steam for the next 48 hours, and players get to keep it for ever. Take to the streets for intense close quarters combat, where a team's survival depends upon securing crucial strongholds and destroying enemy supply in this multiplayer and cooperative Source Engine based experience. The follow-up game to the Source mod, Insurgency is highly competitive, striking a balance between one-life gameplay and prolonged action. 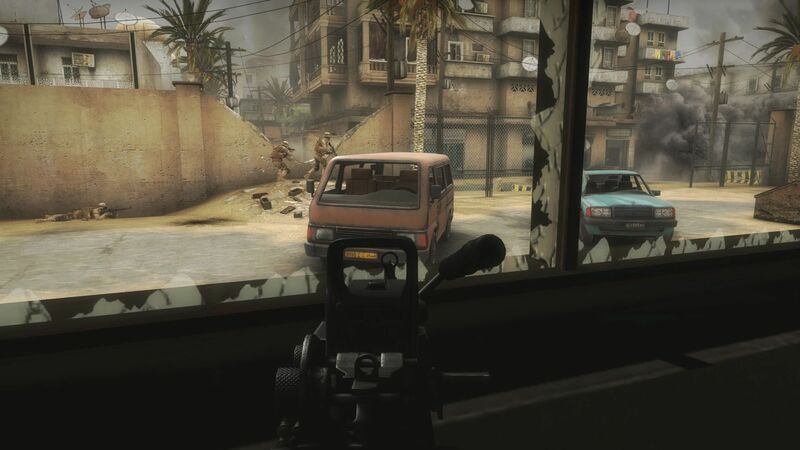 Owning the original Insurgency on Steam will also entitle fans to 10% off the upcoming sequel, Insurgency: Sandstorm, set to launch in September. Insurgency and Insurgency: Sandstorm are available on PC, while the sequel will also arrive on consoles next year. "Intense firefights elevate this tactical multiplayer shooter above its drab visuals and generic subject matter"
Insurgency is ranked #826 out of 1434 total reviewed games. It is ranked #70 out of 152 games reviewed in 2014.